Weak Chinese economic growth is not the end of the oil market’s prospective ills, however. Few recognize the additional trouble on tap from the Chinese independent refiners affectionally known as “teapots.” The danger occurs because lower oil demand growth in China comes just when independent refining capacity there is rising. The capacity growth has been financed primarily by debt, most likely supplied by China’s alternative lenders. 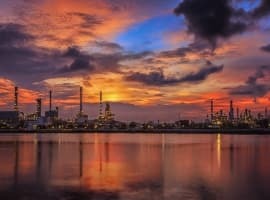 As demand slows, these refiners will turn to international markets, dumping products in Singapore, the Americas, or Europe to earn hard cash. In doing so, they could plunge the global refining industry into a serious recession and drive crude prices down sharply. The article noted that Korean refiners were trying to sell products to China, Taiwan, and Japan. It added that Korea’s exports to China rose fourfold between January and October, while its share of the Chinese gasoil import market went from seven to twenty-six percent. The Asian refining center in Singapore lost market share, falling from seventy-five to twenty-six percent. Related: Oil Rallies As Saudis Cut Exports To The U.S. Looking back twenty years, one sees this is what happened. 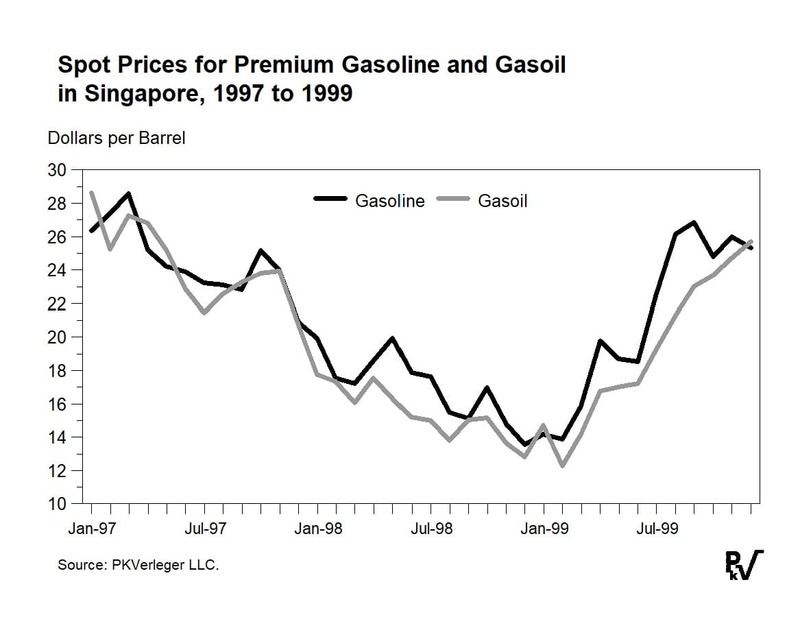 Figure 1 traces the price of gasoil and premium gasoline in Singapore by month from January 1997 to December 1999. Spot gasoil prices plunged from a peak of $32.50 per barrel in December 1996 to a low of $13.80 in October 1998. Distillate cracks measured against spot Dubai crude dropped from $9 per barrel in December 1996 to zero in 1999. Arbitrage carried the impact of the Korean fire sale across the globe. Gasoil prices fell fifty-eight percent in Singapore from December 1996 to October 1998. In the US Gulf Coast market, they declined fifty-eight percent from December 1996 to February 1999. In Europe, the decline was fifty-one percent. Korea’s fire sale of products precipitated a crude price decrease. As I have written often, product prices often lead crude prices. This was the case in the Asian crisis. Energy Intelligence Group data show that the netback on Dubai crude at Singapore declined from $23 per barrel in December 1996 to $9 in February 1999. Spot crude prices followed, as did prices for export contracts linked to spot crude prices. Chinese independent refiners may be emulating the action of Korean refiners in 1997 and 1998. The Wall Street Journal warned on January 23 that the economic slowdown in China could curb Chinese gasoline consumption, which would “mean a flood of exports to the rest of Asia.” The WSJ author, Kevin Kingsbury, added that regional refining margins could be pressured. Nomura forecasts demand growth of 0.5% this year, slowing from an estimated 4% last year. At the same time, Chinese refineries will increase production capacity by some 6%, according to Fitch Solutions. In this regard, a January 24 report from Bloomberg is concerning. In it, Jack Wittels wrote that “a fleet of giant newly built oil tankers is gearing up to ship diesel out of East Asia.” Five new tankers are positioned off China’s coast, each with a capacity of two million barrels. Two additional tankers will shortly join the “armada.” Four of the parked vessels are already loaded or loading. The products will likely move to Europe, where margins are high. 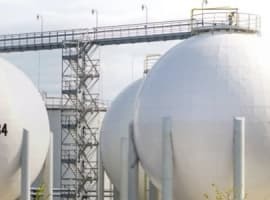 The increased exports from China will reduce refining margins across the globe just as margins are being squeezed by a gasoline surplus and as refiners get ready to meet the IMO 2020 standard. This situation could have serious impacts on US and European refiners. Profits could come under intense pressure, particularly at firms that have been boosting product exports from the United States to Europe and the Americas. Attention must stay riveted on China for the rest of 2019. The volume of product exports from its refineries will keep rising if its economy continues to falter, as many believe it will. The country’s problems, and problems for the world refining industry, will be compounded if the United States and China cannot resolve their trade war. In this regard, further news on Wednesday, January 29, was ominous. Platts reported that China’s refiners are looking beyond Asia to boost exports. In 2018, Chinese gasoline exports rose twelve percent from 2017 and gasoil exports seven percent. There could be much larger increases in 2019 as more refining capacity comes on stream, especially if China’s domestic consumption stays the same or decreases. While there is a lot of merit in Philip Verleger’s analysis, there is no hard evidence so far of a slowing down of China’s economy. China’s economy grew in 2018 at a very healthy rate of 6.6% exactly as it was projected at the start of 2018 and is also projected to grow at a similar rate this year. Moreover, China’s oil imports rose in 2018 by more than 24% from 8.43 million barrels a day (mbd) in 2017 to 10.43 mbd and are projected to hit 11 mbd this year. This is not a sign of slowing down economy. Furthermore, China’s economy is now a mature one so it is not expected to continue growing at a range of 9%-10% as was the case in the 1990s and the first decade of the 21st century. Still, an annualized growth of 6.6% for the world’s largest economy based on purchasing power parity (PPP) is an astounding growth when compared with a 2.5%-3.00% for the United States and 2% for the European Union (EU). Moreover, there are indications that both the United States and China are wanting an end to the trade war between them. President Trump has at last realized that the trade war was hurting the US economy far more than China’s since the Chinese economy is bigger and far more integrated in the global trade system than the United States’. 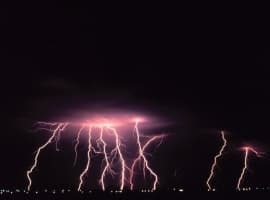 However, there could be one bearish factor at play in 2019. It is the realization by the global oil market that US sanctions have so far failed to cost Iranian crude oil exports the loss of even a single barrel of oil thus discounting the possibility a supply deficit. Furthermore, the United States has no alternative but to renew the sanction waivers it granted to eight countries in November last year when they expire in May this year or issue new ones if only for the Trump administration to use them as a fig leaf to mask the fact that their zero exports option is out of reach and that the sanctions are doomed to fail. One bullish factor could also be at play in 2019. It is the numerous and reliable reports of a slowdown in US shale oil production.